Whip the soft butter and sugar until it becomes creamy. Add the eggs and keep mixing. Fold in the baking pouder , vanilla extract and the Hazelnuts flour. 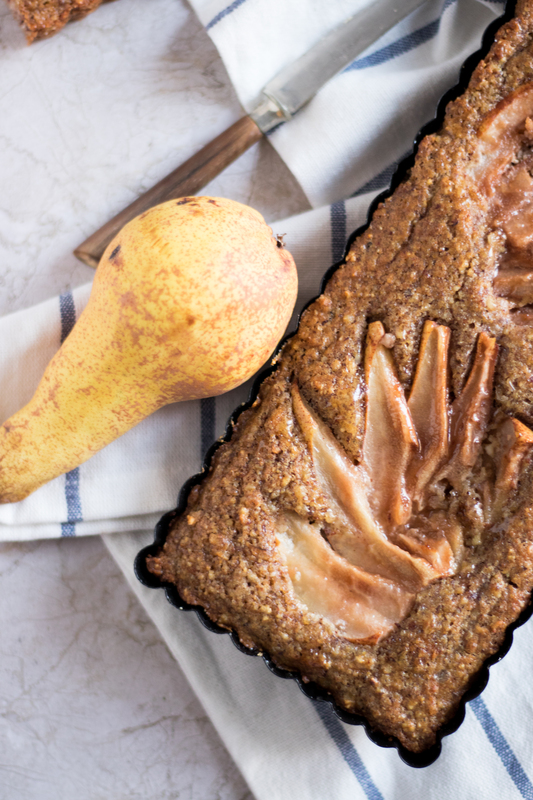 pour the batter in your baking sheet and decorate it with the pears slices . Bake in a 180 C preheated oven for 20 min until it gets golden on top.